Once described as ‘Hollywood’s favorite photographer’, Tyler Shields is, as you might expect, based in Los Angeles. But he’s not just a shallow celeb-snapper. He identifies himself instead as ‘an American image-maker’. His work, he says, plays with ‘notions of the gaze, power structures, hyper-realism, iconoclastic-tendencies and cinematographic practice’. He began his career as a director of music videos, but he now associates himself with a longer artistic tradition stretching back to Caravaggio in Baroque Europe. He’s interested in what he calls the ‘dark romance’ of the human body, and the courage it takes to expose it to a photographer’s lens in the knowledge that the results will routinely be shared across the internet. Shields points out that, in our image-drenched online culture, we still remain primarily interested in beautiful human bodies. For the shoot in question, she needed to wear full body make-up. Here she is getting ready, with Evan Peters on the left and Tyler Shields himself on the right. And here’s Evan with his pale, naked lady. 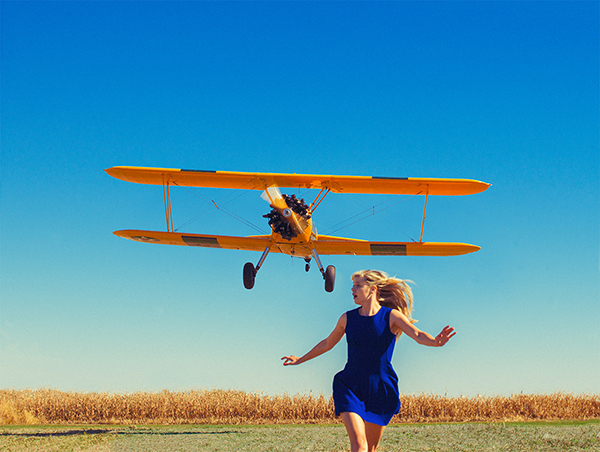 If you are interested in the art of Tyler Shields, please visit his website. And for some more OTK imagery from him, go here.